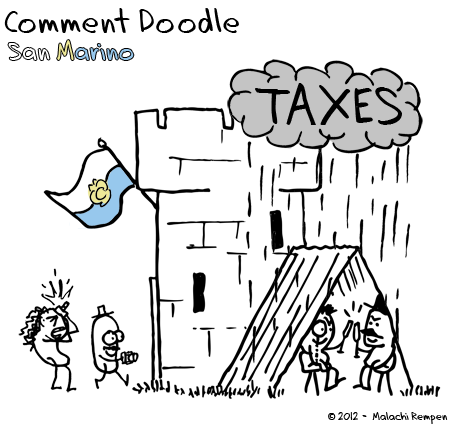 "San Marino is a little patch of land organized as a shelter for Italian tax evaders." From now on, I'll have an irregularly-updated section called Comment Doodles. If you comment and it's doodle-worthy, then you better believe it'll be doodled!